Mimansa @ Foxtrot has recently opened up in the city, this cafe is known for its healthy food and use of organic ingredients. But, guess what? You can shop here too! 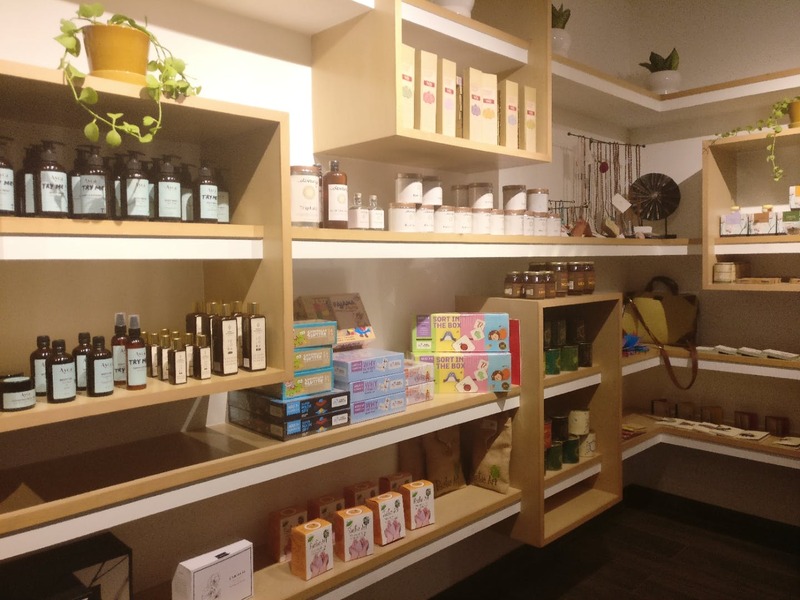 Yes, they have a retail space where they sell all eco-friendly products. Find soaps, oils, and other body care products that are absolutely chemical-free, all under one roof. They carry a range of toothbrushes made from bamboo. Other than all of this, there are yoga mats, bags, incense sticks, honey, a variety of tea, and lots more. Plus, they have stationery too and the books are made of cow dung and elephant dung. The starting price of their products is INR 120 and it goes up to INR 8,000. Bangalore’s New Cafe & Urban Wellbeing Space Launches In Koramangala!